If you are experiencing an emergency or life-threatening situation and need immediate attention, please call 911 to find the closest hospital emergency room that can provide that assistance. Whether you need same-day access to psychiatric care, want to schedule an appointment to be seen by a mental health professional in the next few days, or just want to learn what treatment options are available to you in the community, you can turn to Sheppard Pratt. There are a number of different ways that individuals can be admitted to Sheppard Pratt voluntarily. Please note that all patients must be medically stable, and must have been evaluated by a mental health clinician within 24 hours of the proposed admission. Sometimes, an individual may be experiencing a psychiatric crisis and is unwilling to seek help for themselves. 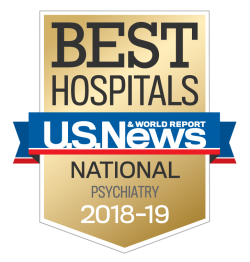 In certain circumstances, such as when an individual is a danger to themselves or others, involuntary admission to a psychiatric facility can be employed. The Scheduled Intervention Program is a program for children, adolescents, and adults experiencing a psychiatric emergency, and who will likely require a referral to more intensive levels of care. Get help finding the right treatment option that fits your needs.